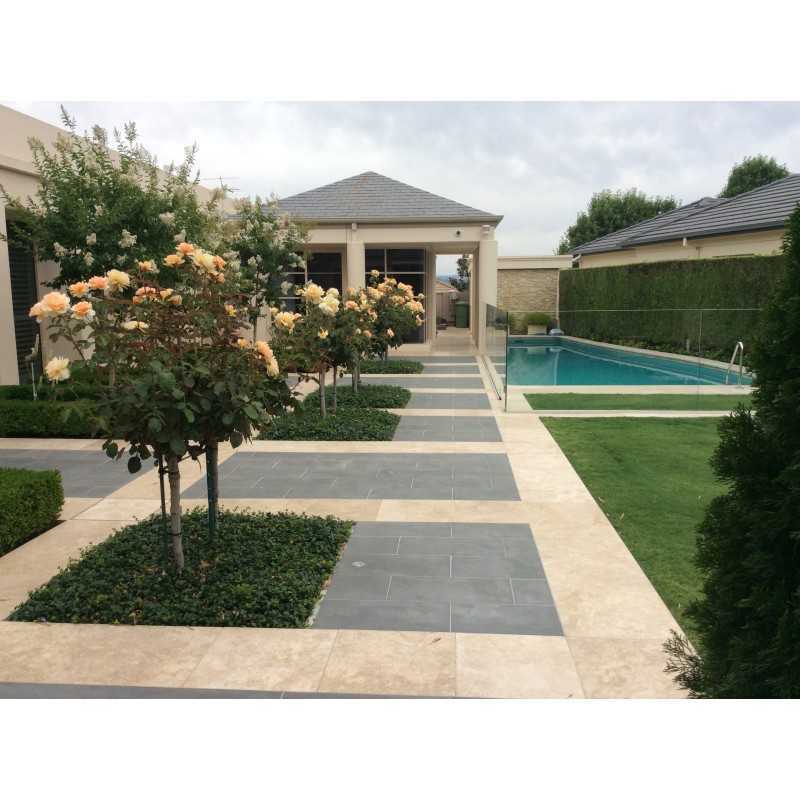 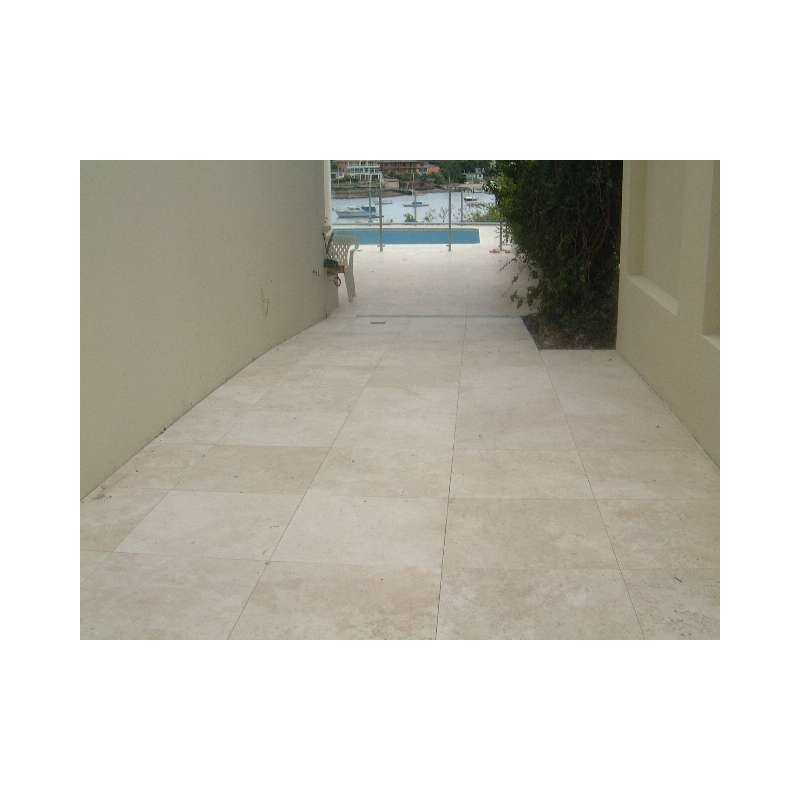 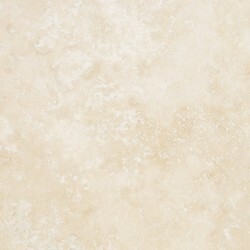 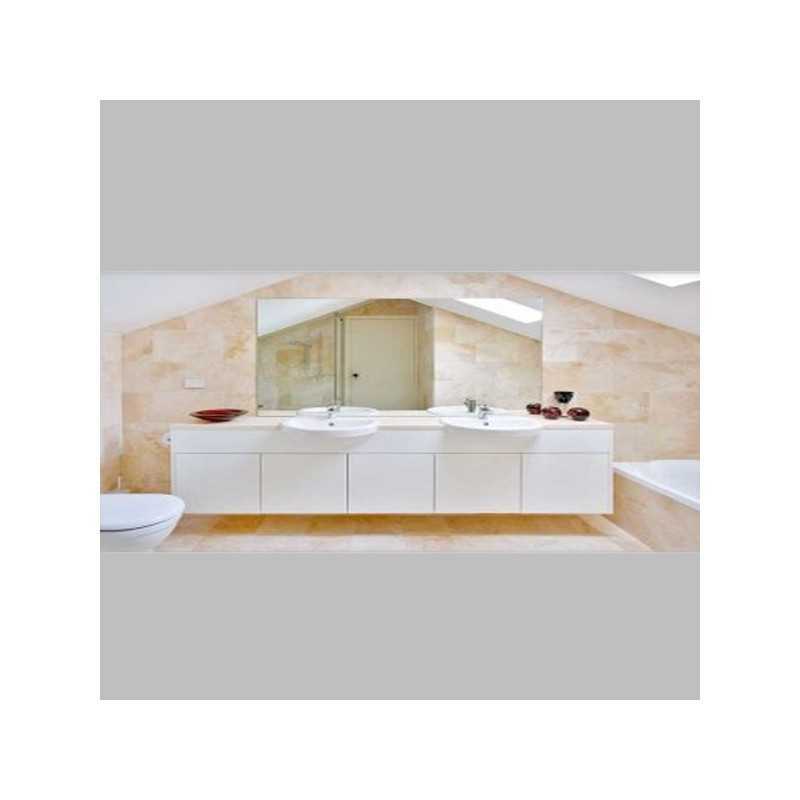 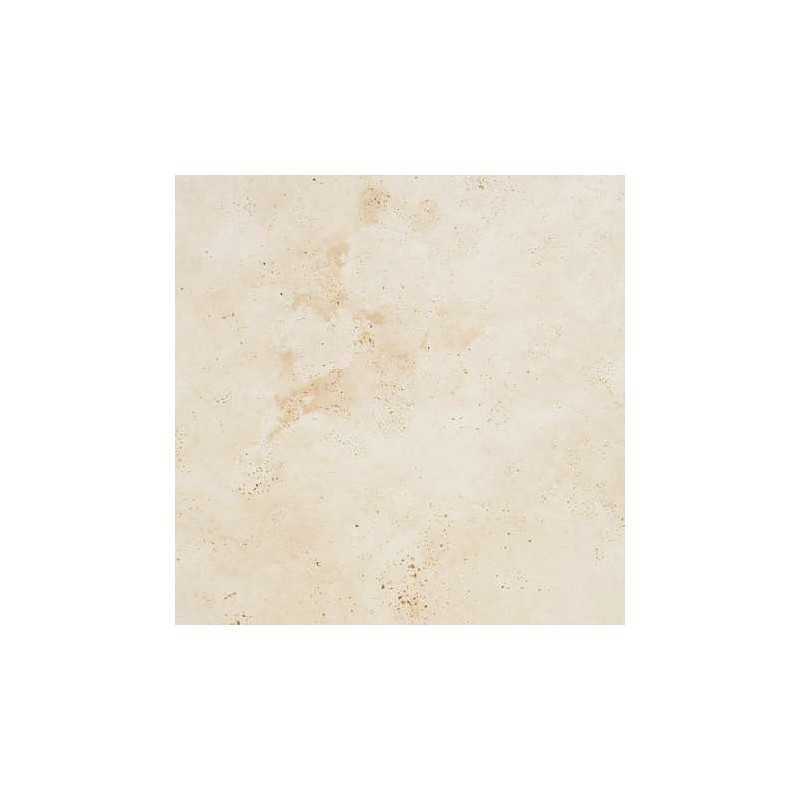 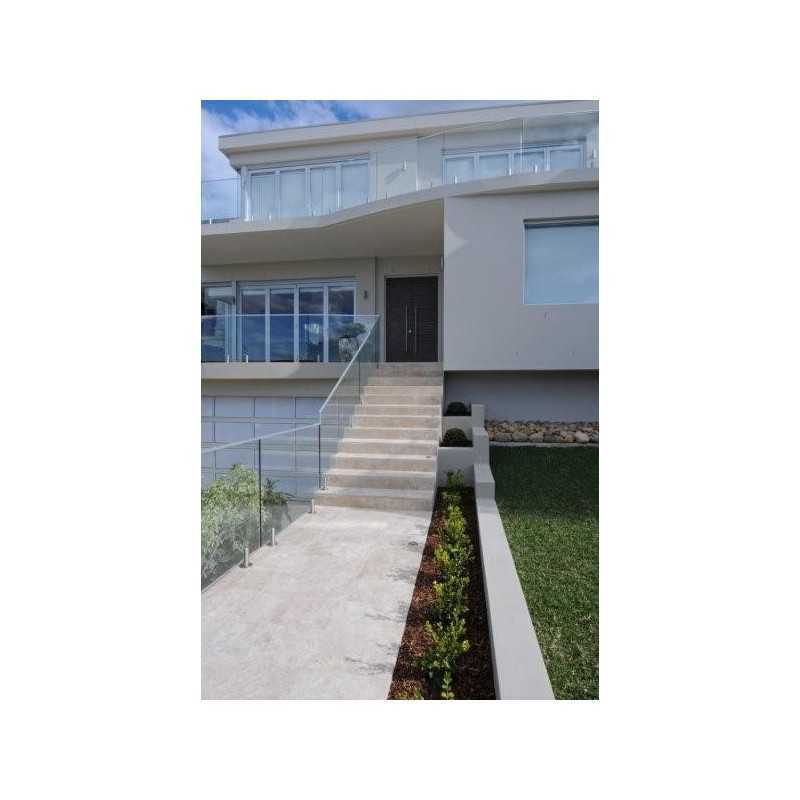 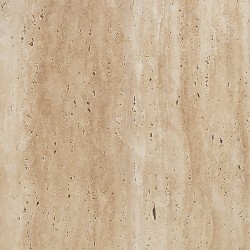 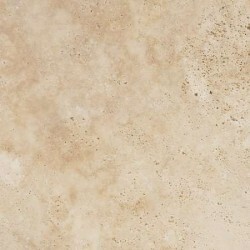 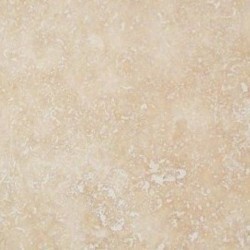 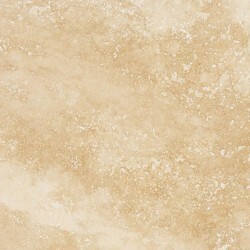 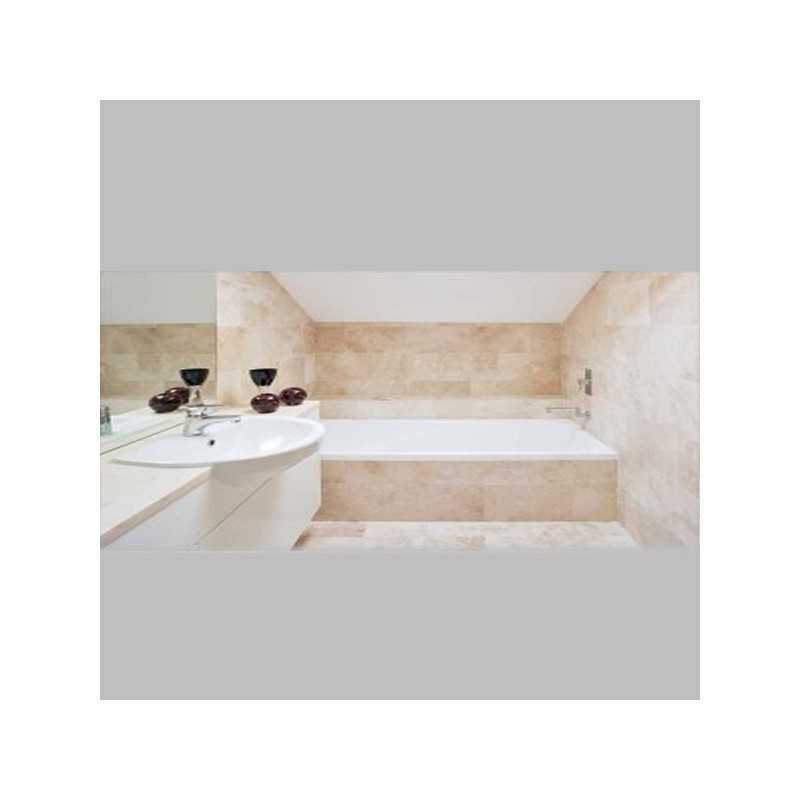 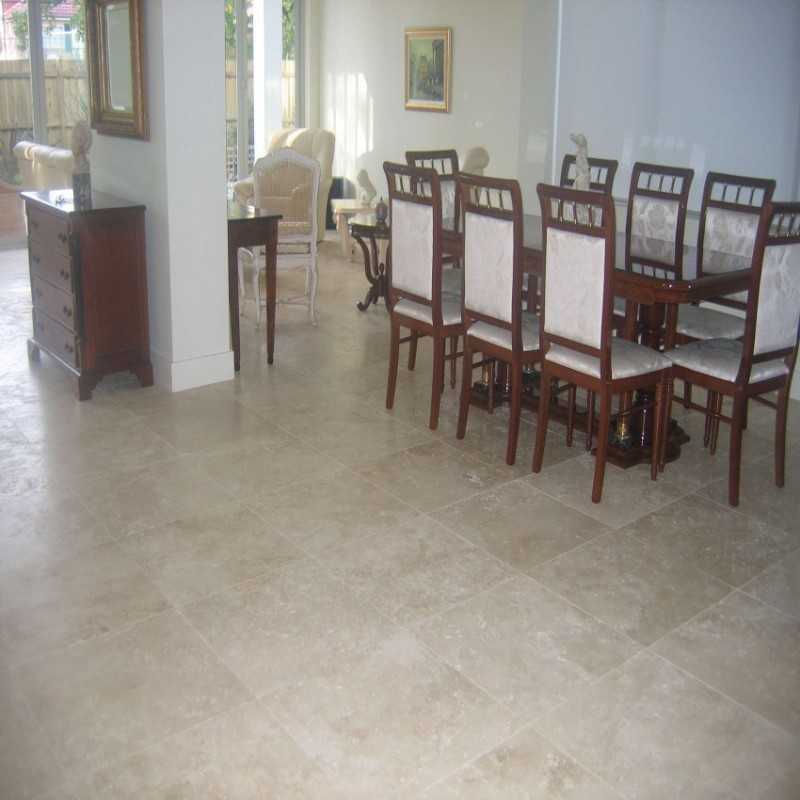 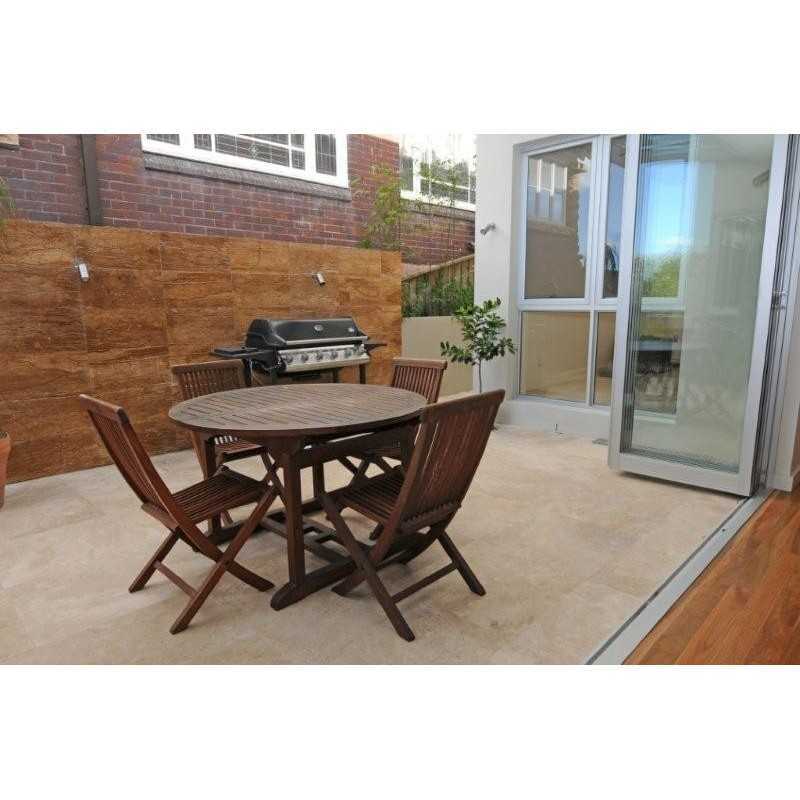 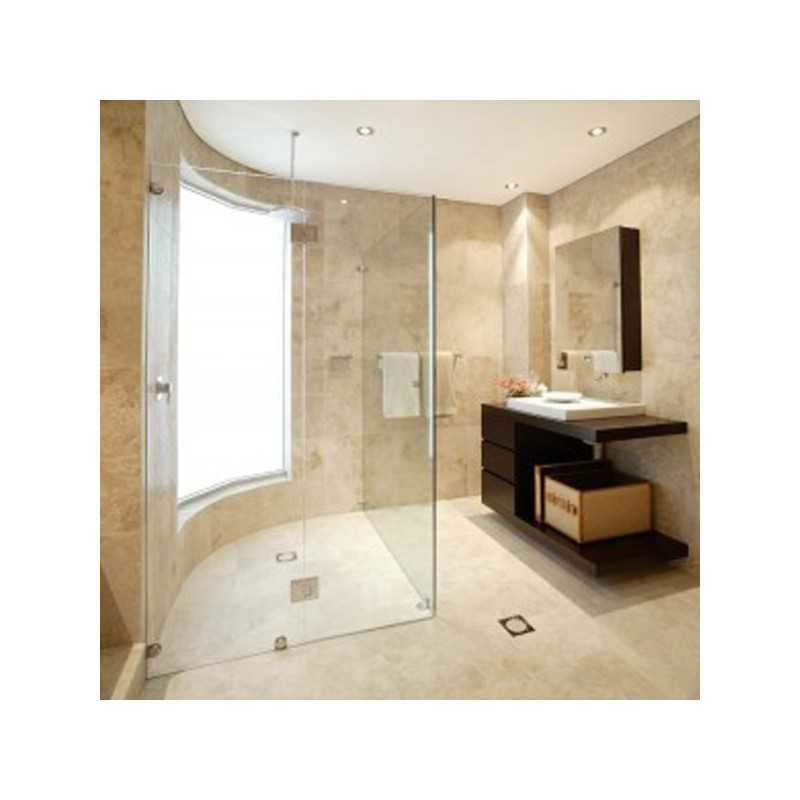 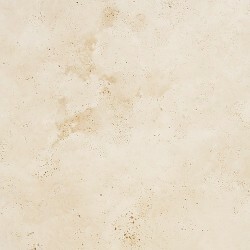 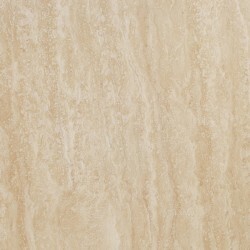 This is a natural Classico Travertine product with light shading on top of the unique, well known cream – beige colour. 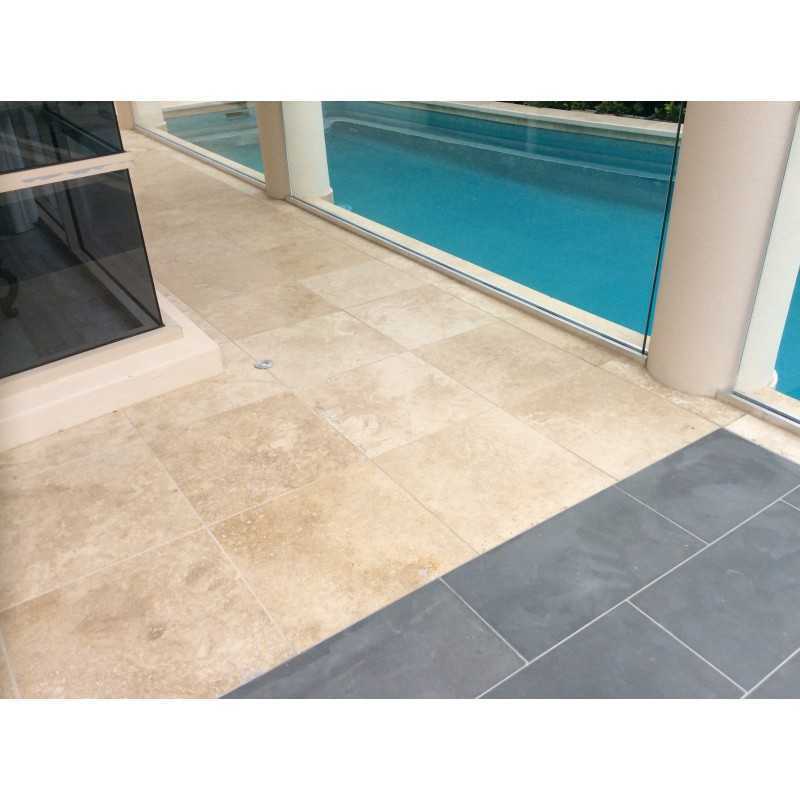 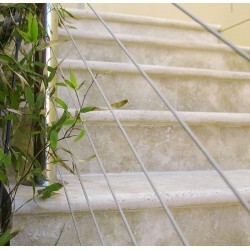 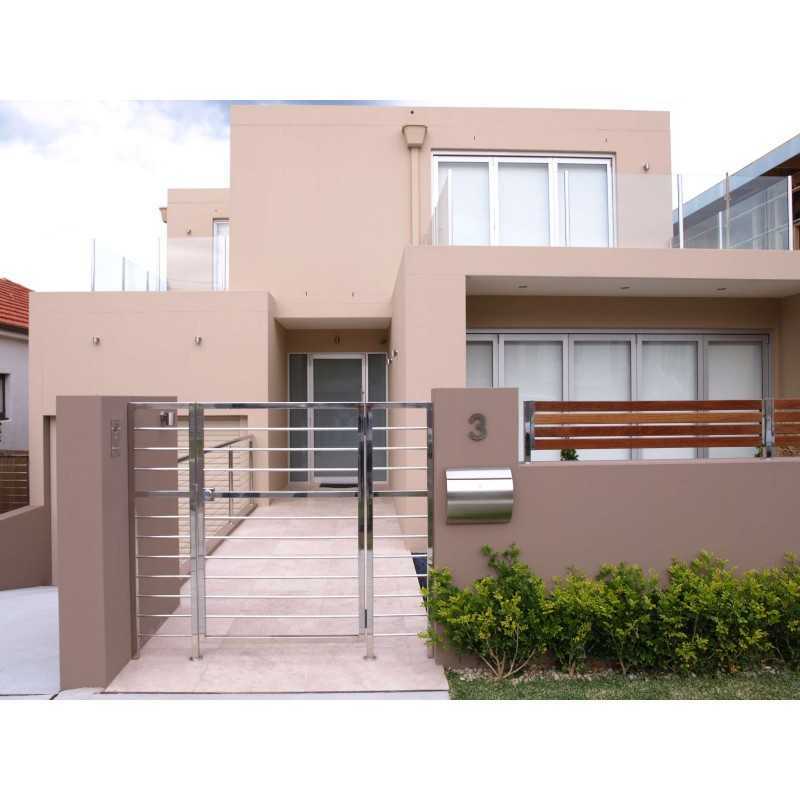 The unfilled surface of this product results in a stunning, natural looking stone as well as providing a better grip. 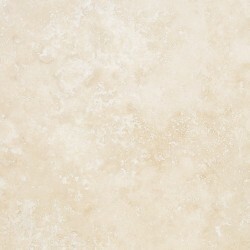 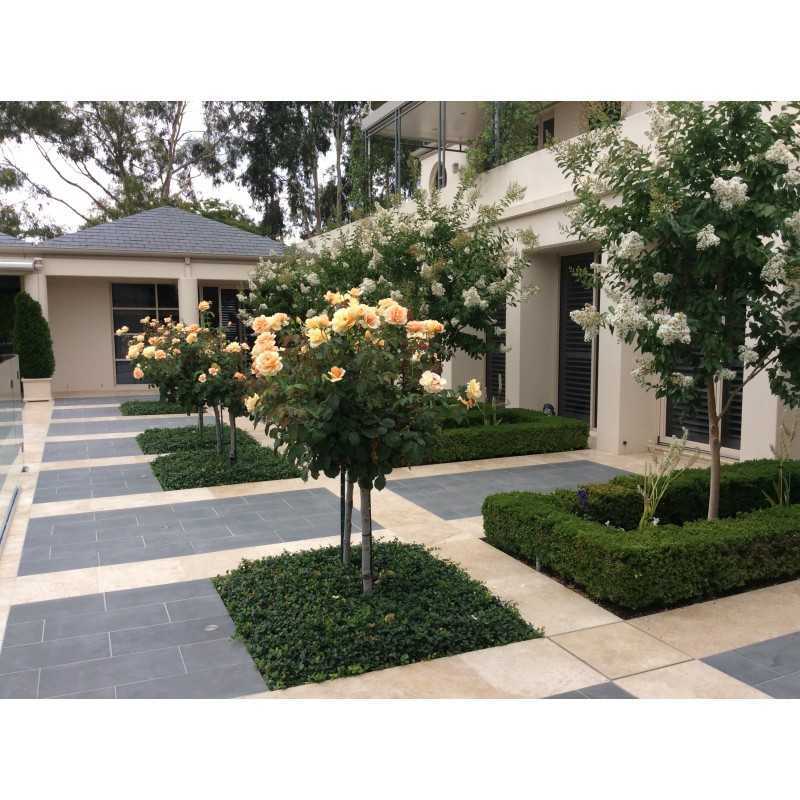 Generally speaking, natural stones including travertine classico light unfilled honed have a reputation for being highly sustainable construction materials. 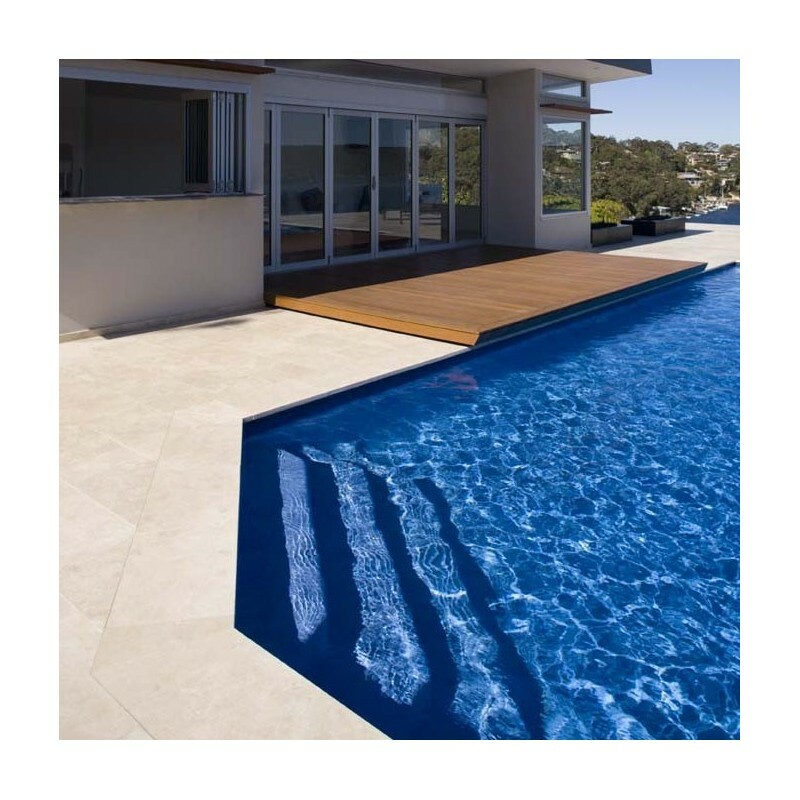 In addition, the unmatchable beauty, high durability and low maintenance costs of natural stone has turned this material into the primal choice of construction designers. 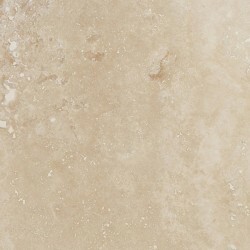 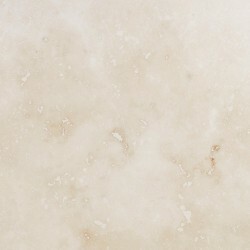 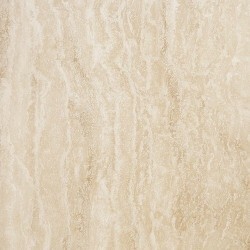 The beauty of Classico light unfilled honed is due to the non-uniform background of contrasting light and dark patterns caused by the specific technique of cutting of the slabs of this product. 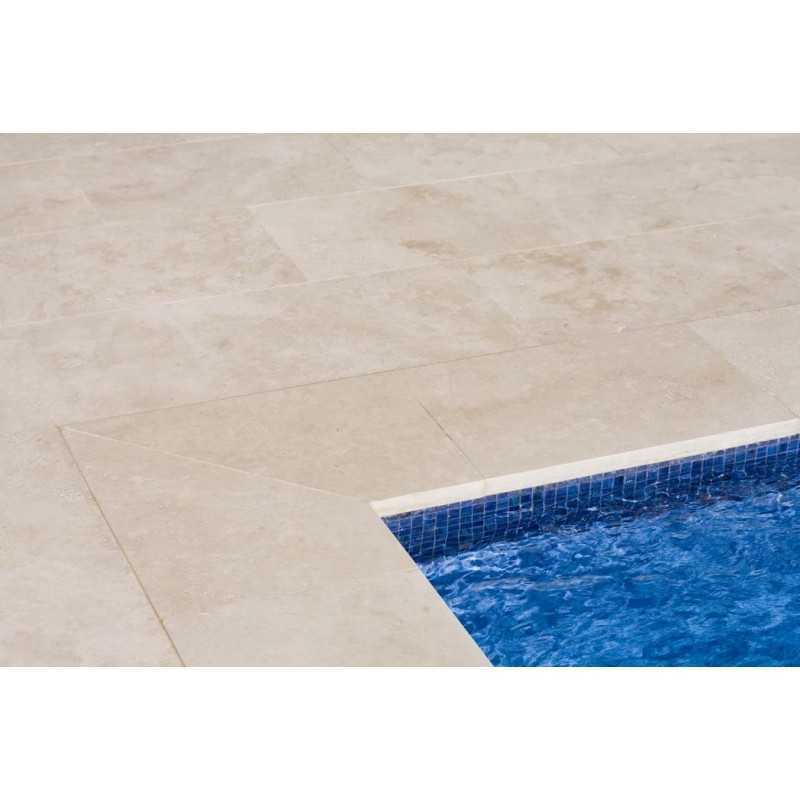 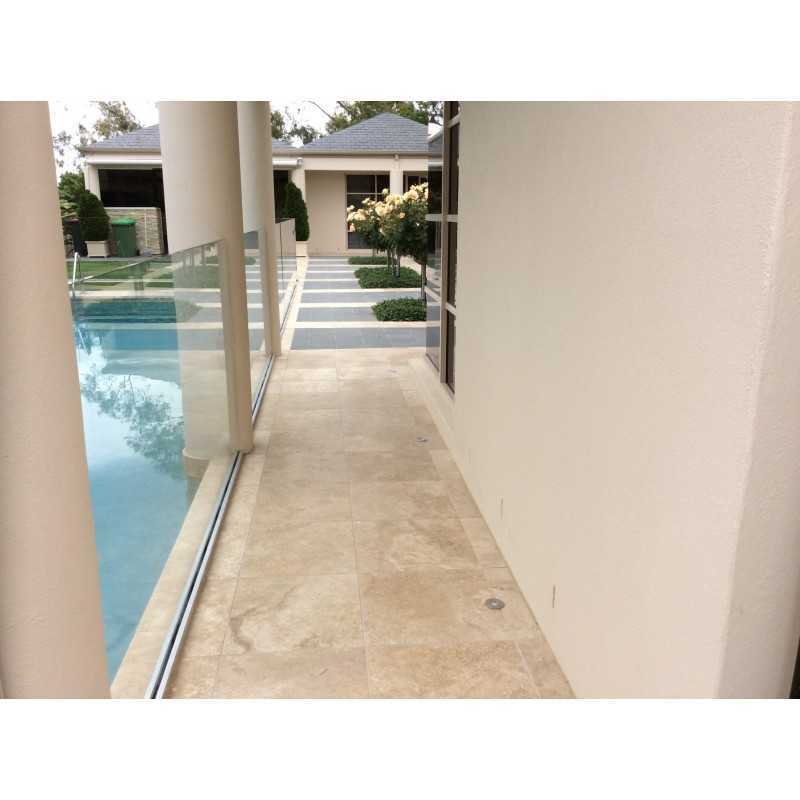 Areas of application of travertine classico light unfilled honed include: living area tiles, kitchen tiles, bathroom tiles and walls, outdoor flooring etc. 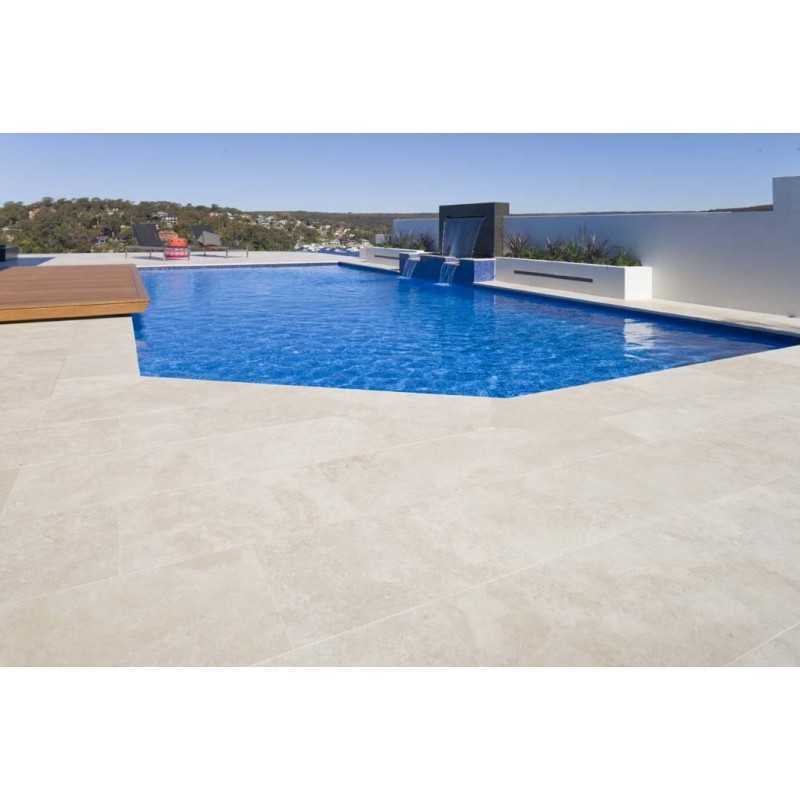 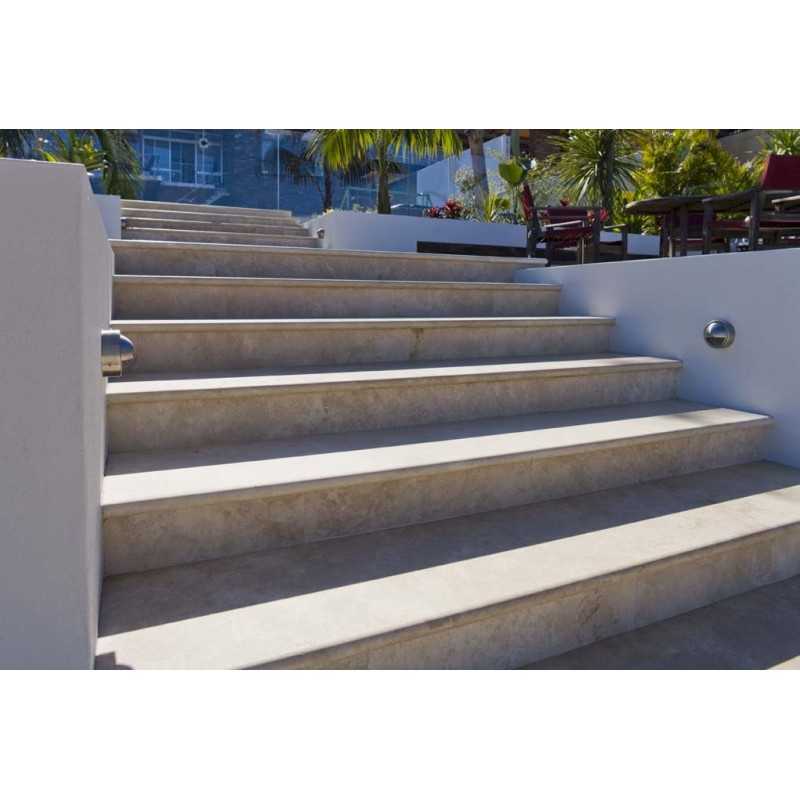 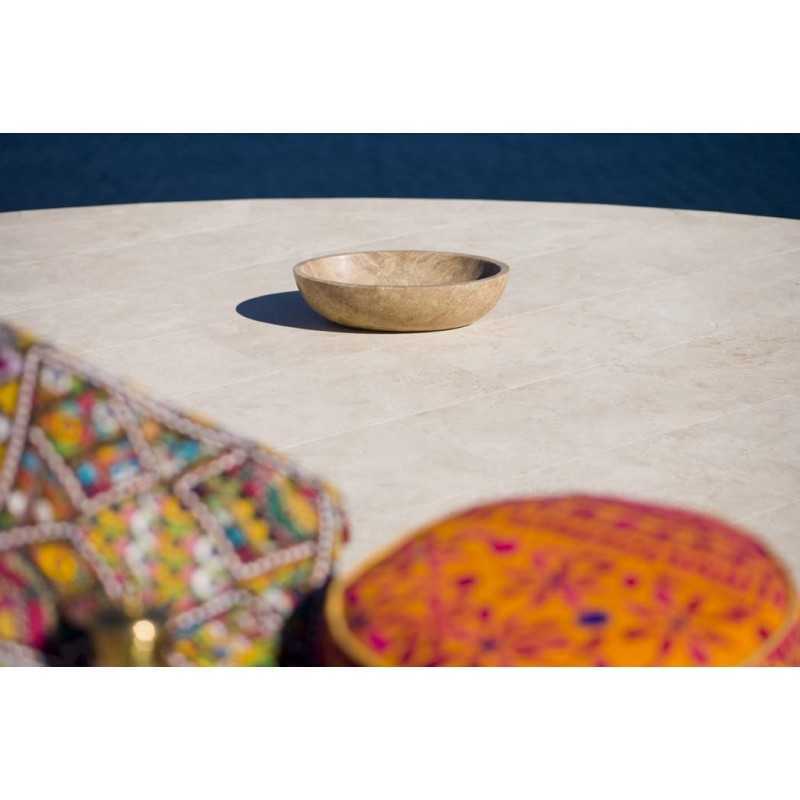 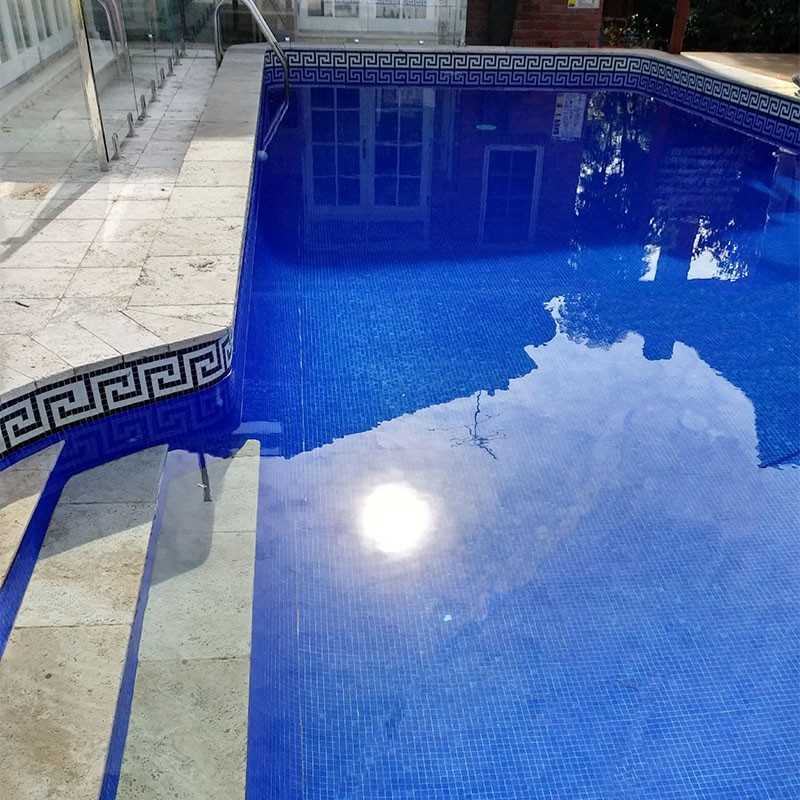 Moreover, this product is available in a number of distinct formats such as: stone tiles, steps and slabs, paving stones, basins, and mosaics.